KENNEDY SPACE CENTER, FL. 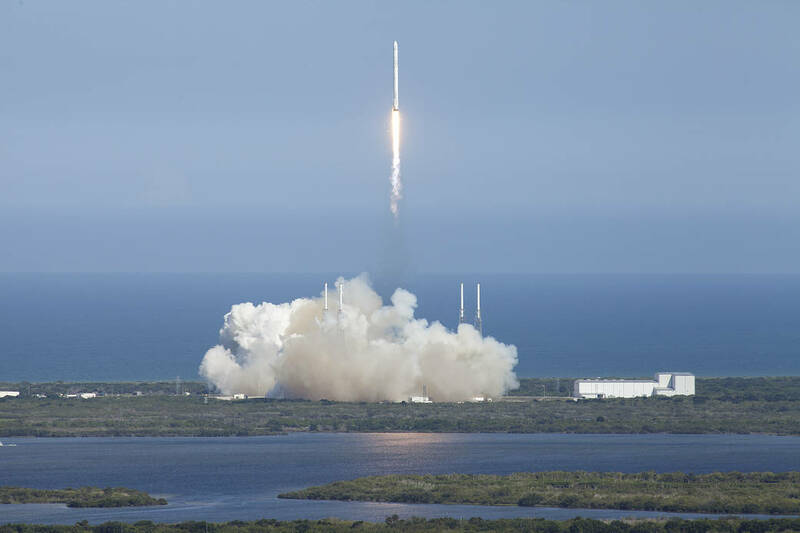 (March 21, 2018) – The 14th Commercial Resupply Services (awarded by NASA) mission to the International Space Station (ISS) by SpaceX is targeted for launch no earlier than 4:30 p.m. EDT on April 2. A Dragon cargo spacecraft previously flown on SpaceX’s 8th commercial resupply mission to the station for NASA will now include a series of separate payloads sponsored by the ISS National Laboratory (managed by the Center for the Advancement of Science in Space). These payloads represent a diverse combination of science, technology, and the validation of new facilities that will contribute to greater research capacity in the future. Additionally, multiple investigations will launch to station focused on inspiring the next generation of scientists and engineers. Below are highlights of sponsored ISS National Lab investigations that are part of the SpaceX CRS-14 mission. The failure rate of new drug candidates upon reaching the preclinical or clinical trial testing phases is greater than 50%. This is an expensive burden for both drug companies and consumers that delays therapies from reaching patients. 490 BioTech will use the microgravity environment on the ISS National Lab to test a novel bioluminescent assay tool kit that may significantly reduce the failure rate of drug discovery efforts. Microgravity promotes superior 3D cell culture growth, enabling drug evaluations that may better mimic the cellular response of human tissues. This investigation will speciﬁcally examine anti-cancer therapeutics with downstream applications to other drugs. Economic models suggest that a 10% improvement in failure prediction rates prior to conducting clinical trials could save $100 million in development costs per candidate drug. The Genes in Space student research competition, founded by Boeing and miniPCR and supported by the ISS National Lab, invites students to propose pioneering DNA amplification experiments that utilize the unique environment of the ISS. Two experiments were selected as winners from the 2017 competition, both flying on this mission. Elizabeth Reizis, age 14, from Stuyvesant High School in New York will examine the effects of microgravity on the differentiation of immune system cells. Sophia Chen, age 14, from Lakeside School in Washington aims to measure cancer-inducing genomic instability in astronauts. Spaceflight causes many changes to the human body, including a weakened immune system and alterations in DNA. Findings from these experiments could lead to a better understanding of how to safeguard astronaut health in space. This educational project from Magnitude.io allows students to study how different growth phases of the plant Arabidopsis thaliana are affected by the microgravity environment. This experiment is specifically aimed at investigating plant germination and early growth stages. The Materials International Space Station Experiments Flight Facility (MISSE-FF), developed by Alpha Space Test and Research Alliance, will provide a permanent commercially available materials science and component testing platform on the ISS. The MISSE-FF platform provides the ability to test samples such as materials, coatings, and components in the harsh environment of space. MISSE-FF enables the integrated testing of how materials react when exposed to extreme conditions in low Earth orbit, including ultraviolet radiation, atomic oxygen, ionizing radiation, ultrahigh vacuum, charged particles, thermal cycles, electromagnetic radiation, and micro-meteoroids. The Multi-use Variable-gravity Platform (MVP), developed by Techshot, will provide a permanent, commercially operated facility onboard the ISS capable of producing artificial gravity in space. The MVP includes two internal carousels, each able to host six separate experiment modules, that can simultaneously produce up to 2g of artificial gravity. The facility can accommodate a wide variety of sample types, including fruit flies, flatworms, plants, fish, cultured cells, and protein crystals. The NanoRacks Microscopes facility includes commercial off-the-shelf optical and reflective microscopes. NanoRacks Microscopes utilize plug-and-play USB technology and allow crew members to analyze and digitally transfer images of ISS on-orbit samples. The amount of space debris orbiting the Earth is a growing problem. Collisions of orbiting space debris can create even more debris, which could damage the satellites and other spacecraft. This project from NanoRacks and the University of Surrey’s Surrey Space Centre will use the RemoveDEBRIS satellite platform to deploy two CubeSats as artificial debris targets to demonstrate four technologies for debris removal (net capture, harpoon capture, vision-based navigation, and dragsail de-orbitation). To learn more about these investigations and other station research, visit www.issnationallab.org. Content within this document has been modified to update payload information, to include hardware partners facilitating experiments.